This rendering shows the double-deck passenger coach being built for use on SEPTA's Regional Rail system by CRRC Corporation Limited of Beijing, China. 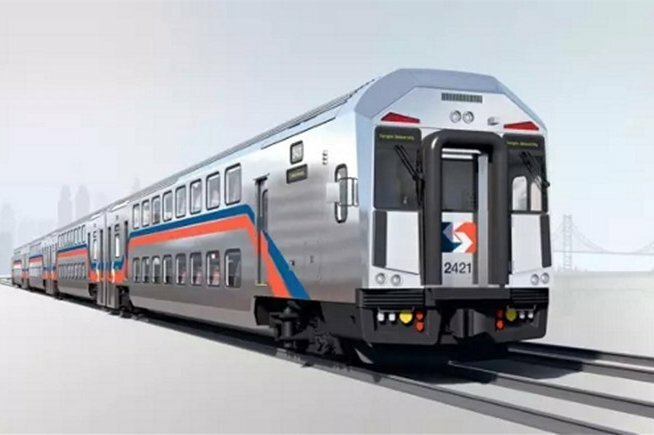 SEPTA has ordered 45 of the double-decker passenger cars, with the first coach expected for delivery by the end of 2019. SEPTA's plans to add 45 multi-level trains to its Regional Rail fleet appear to be moving along efficiently. The $137.5 million deal with Chinese-owned CCRC MA Corporation, based in Massachusetts, will bring the first of the bi-level trains to SEPTA Regional Rail tracks in late 2019. All 45 trains would be delivered and ready for service the following year. CCRC has released a photograph of a bodyshell undergoing tests at its plant in China's Hebei Province. The stainless steel bodyshells were being put through static strength testing to ensure that they meet U.S. standards, according to the International Railway Journal. 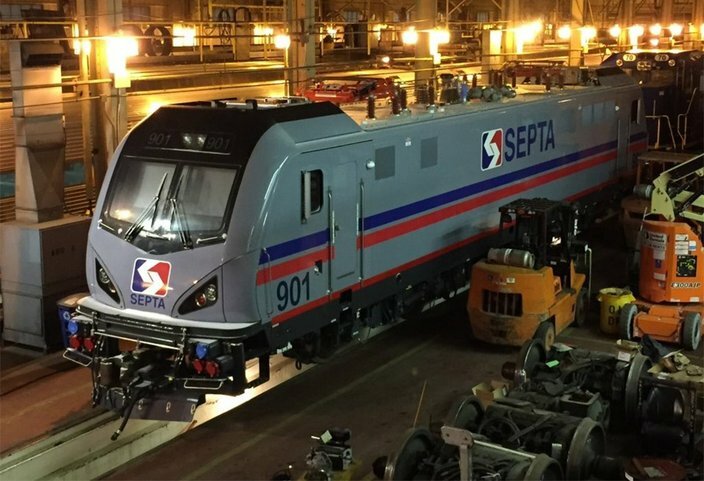 SEPTA's deal with CCRC would mark the first time the company manufactured main line passenger coaches for a U.S. customer. The first Siemens-made ACS-64 locomotive is seen in SEPTA's Wayne Electric Shop in North Philadelphia. The transit agency has ordered 15 of the electrical locomotives and some will eventually be used with multi-level passenger coaches on some Regional Rail lines. Cyclists rejoiced last December after it was announced each of the double-deckers will contain at least two bike racks on the first level, clearing up some of the crowding issues experienced on the existing fleet. The new trains are expected to be used on SEPTA's busiest Regional Rail lines, though specific routes have not yet been announced.